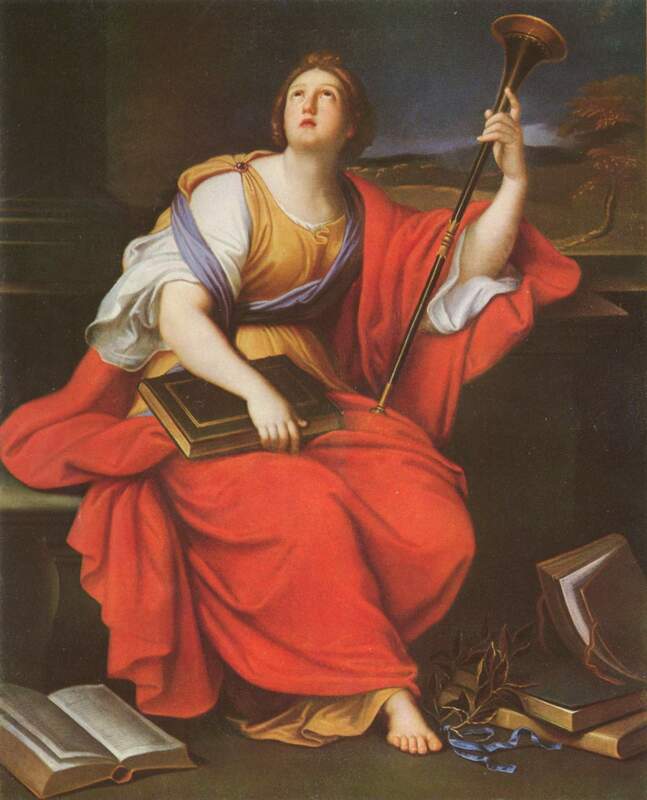 Pierre Mignard, Clio (1689). Image Courtesy Wikimedia Commons. You can now find out the answers to these questions, and more, in a freely available online searchable index to titles in the William and Mary Quarterly. The index lists every substantive essay and “Notes and Documents” (or, more recently, “Sources and Interpretations”) published in the 3rd series (1944–present) of the flagship journal of the Omohundro Institute of Early American History and Culture. The index also links to full-text versions of the essays in J-STOR. To weigh up and assess the place of the Revolution in the pages of the Quarterly, we wanted a more accessible and assessable list of titles. To expedite our research, we asked a research assistant to put a spreadsheet together of the articles. We have recently put this online at https://www.michaelamcdonnell.org/wmq, and are happy to share this work in the hope that it will help further historiographical research and teaching and access to the Quarterly essays. In the first place, of course, readers can use the index to test or examine our research results. While we focus mostly on the content of articles about the American Revolution in the main essay, we discuss our methodology in an accompanying piece available via the OI Reader. The entire special issue, our original article, and our methodological appendix including the tables we drew up are freely available via the Reader. No subscription is necessary. As we explain in the essay, we used the index to compile lists of essays on or about the Revolution, and as a helpful way to dive deeper in to the full-text versions to examine the content of articles, but also to check if an essay on the Great Awakening, for example, was also an article on the coming of the American Revolution. We imagine the index could be similarly used as a historiographical research tool for other topics, too, such as the history of women (or indeed, women authors), or of Native Americans. It could also be used as a starting point for research into various specific topics in early American history—search for titles that mention the Iroquois, or Cherokee, or Dutch New York, for example. Of course, if you had a subscription, you could also do something similar with the search function on J-STOR. You would also be able to dive deeper with keyword searches and find references within the full-text versions of articles, too. But if you don’t have a subscription, or simply want a quicker and handier link to titles, you might want to use the index. Moreover, we believe our “at a glance” listing will still be helpful for those (like us) who want an easy tool to browse and scroll, and may be useful in discerning some longer term patterns not easily identified by using specific keyword searches. For example, those searching for the first use of “Atlantic History” might be surprised that it does not get invoked until 2006, and then only once more in 2011—and on each occasion only used in shorter reflective pieces. But a quick glance down the index will show that “Atlantic,” “transatlantic” and “Atlantic World” were and still are far more commonly used, though significantly none of these terms were used before 1976. Besides finding out interesting facts about the journal and its subject matter such as those revealed by the questions above, we also believe the index could be used in the classroom to help further historiographical research and teaching, as well as act as an entrée into the full-text versions of the Quarterly. 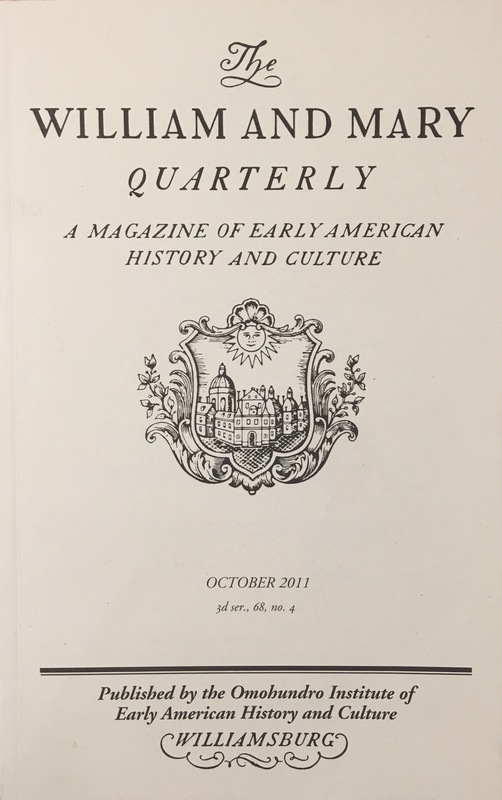 “The William and Mary Quarterly: A Magazine of Early American History and Culture.” Omohundro Institute of Early American History and Culture 68, No. 04 (Oct. 2011). Certainly, the increasingly library-averse students we have introduced to the index have marvelled at the depth and lineage of scholarship on many topics, and been inspired by the sheer range of different kinds of subjects that have been covered. The index also gives them a greater sense of a scholarly conversation in progress. When they only read one or two books or articles in isolation, they might make the mistake of thinking it was the only, or last word, on a topic. The index can thus serve as a first point of entry for student research papers. For more senior students looking at historiographical trends, the index can also serve as a first port of call, or help instructors kick-start an in-class discussion about the nature of historiography. Teachers might ask students to examine a five or ten year period to see if they can discern any particular shorter-term trends. At Sydney University, we have taught an upper-year historiography course for many years, in which we ask students to write short essays based on an examination of scholarly articles in any ten-year time span in a historical journal. For an exercise like this, the index will serve as a good starting point and an easy way to link to the full-text articles. Similarly, teachers can look over titles with students and trace omissions and trends. When did “slaves” first feature in a title? (1951, in two Notes and Documents essays). What do the titles reveal about how slavery has been treated by early American historians over the past seventy-five years? How, and how often, have the slave trade and slavery featured in the journal? And when was abolition discussed? (once, in 1968, and not again until 2009). Significantly, while “African American” was not used in a title until 1999, “enslaved Africans” has yet to gain traction in a title. Starting points like this can make clear to students the changing nature of history, and might provoke discussion about why. More specifically, the index could be used in tandem with our published essay and appendix on trends in the historiography of the Revolution in the Quarterly to challenge our findings and provoke further discussion. Can students discern similar patterns as those we outlined? When and why did authors stop using the term “origins” of the Revolution? How and when have essayists used the terms “nation” and “founding” in relation to the American Revolution? Are the labels and categories we used in the accompanying tables accurate or helpful? What is missing, and why? What kind of Revolution does the last generation or two of essays suggest? *Note that the links in the index are to the stable J-STOR citations for the articles. You will need access to an appropriate J-STOR subscription to access the full-text version of most of these articles. The list will be updated periodically to reflect new issues of the Quarterly. Please email us if you find any mistakes or broken links. Many thanks to Gabrielle Kemmis for her work compiling the initial spreadsheet, to Darren Smith for creating the webpage, and to the University of Sydney and the Australian Research Council for generously helping to fund the research and index. ** If you have any other ideas about using the index for teaching or research purposes, please share them in the comments below and/or contact us via the website for the index at: https://www.michaelamcdonnell.org/contact/ We’ll be sure to share any ideas or suggestions. Michael McDonnell is Professor of History at the University of Sydney.